… to all readers! I am off after Christmas, no internet, some kilos of (physical) books and probably some elks – I might take my Macbook along for programming, though. This was a merchant who sold pills that had been invented to quench thirst. You need only swallow one pill a week, and you would feel no need for anything to drink. “And what do I do with those fifty-three minutes?” asked the little prince. 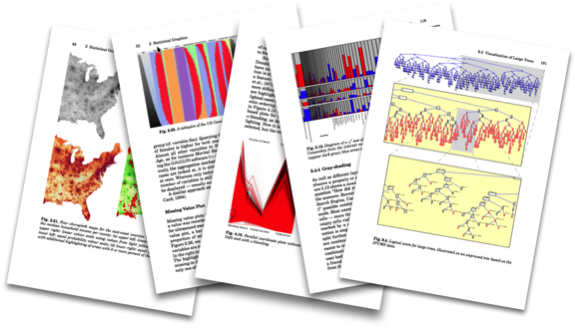 The blog post by Vincent Granville “Data science without statistics is possible, even desirable” starts talking about “old statistics” and “new statistics”, which started some more discussion about how statistics and data science relate. Whereas I agree that there is something like “old” and “new” thinking of the role and the tools in statistics, I am less convinced that Data Science blesses us with many new techniques, which are generally more useful than what we use in statistics for quite a while. Now we see what makes the drawing so interesting. 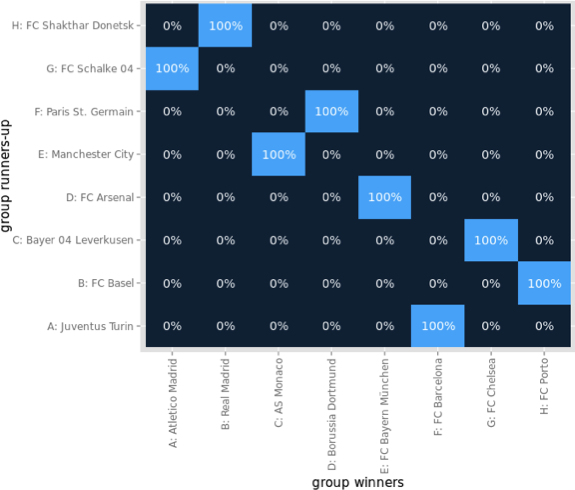 Given what matches were already drawn, the remaining matches are more or less fixed. Thanks to Sebastian for the nice tool, and have fun to play around – maybe you find three matches which already fix all remaining?! Let’s see what happens on Monday, when the actual drawimg takes place. Anyway a fantastic example of how useful shiny can be. 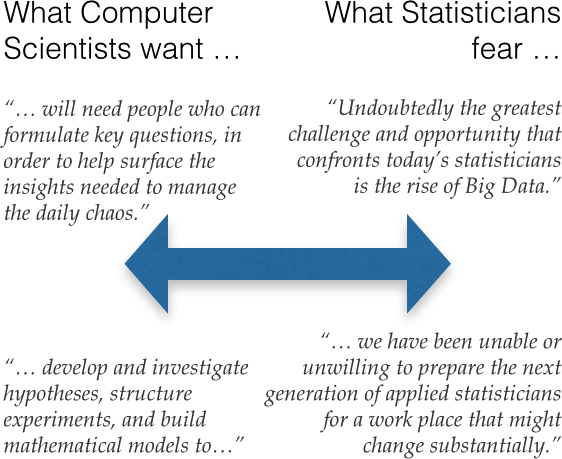 Statistics vs. Computer Science: A Draw? Posted on 11/30/2014, 12:33, by martin, under Big Data, General. I’ve been thinking about what Big Data really is for quite a while now, and am always happy about voices that can shed some more light on this phenomenon – especially by contrasting to what we call statistics for centuries now. Recently I stumbled over two articles. The first is from Miko Matsumura, who claims “Data Science Is Dead“, and does largely lament about data science lacking (statistical) theory, and the other one is from Thomas Speidel, who asks “Time to Embrace a New Identity?“, largely lamenting that statistics is not embracing new technologies and application. In the end, it looks like both think “the grass is always greener on the other side” – nothing new for people who are able to reflect. But there is certainly more to it. Whereas statistics is based on concepts and relies on the interplay of exploration and modeling, technology trends are very transient, and what today is the bleeding edge technology, is tomorrow’s old hat. 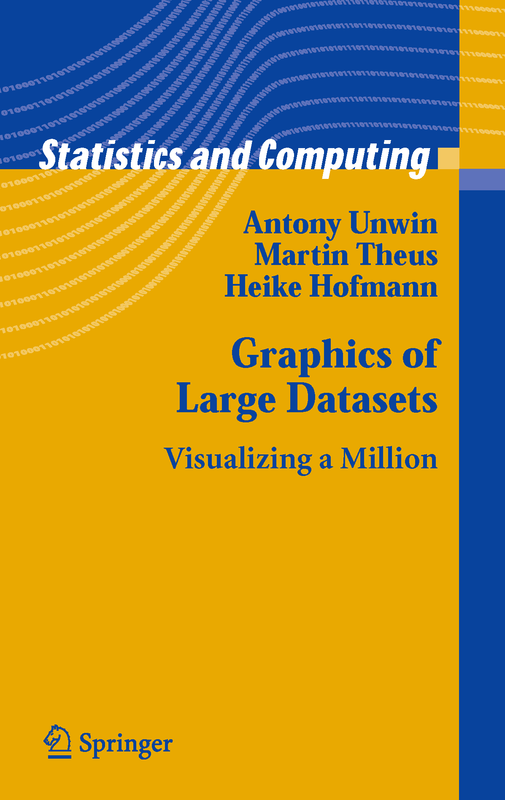 … would have been the better title for the book “Graphics of Large Datasets“. As the book was published a few years before the birth of the next buzz word promoted by McKinsey with the white paper “Big data: The next frontier for innovation, competition, and productivity“, we just did not know better. But to be honest, much of the book’s first half – to be precise the first 101 pages – deals with exact with what we generally face when displaying millions of data points / rows / records. As we deal with really big data, i.e., millions of records, thousands of variables or thousands of models, problems at least need more thought than classical business graphics. Big Data: Not without my Stats Textbook! 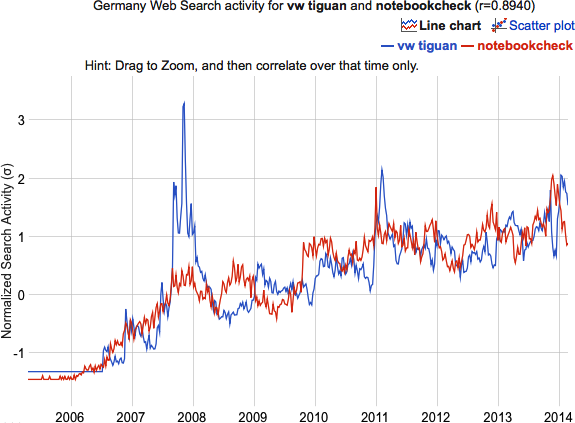 Posted on 08/30/2014, 14:20, by martin, under Big Data, General. As a consequence, at Google they are not only masters of statistics (hey, my former boss at AT&T Labs who was heading statistics research went there!) but they also need to know how to handle Big Data – one might believe. But with all big companies, there are “those who know” and “those who do”, which are unfortunately often not identical. 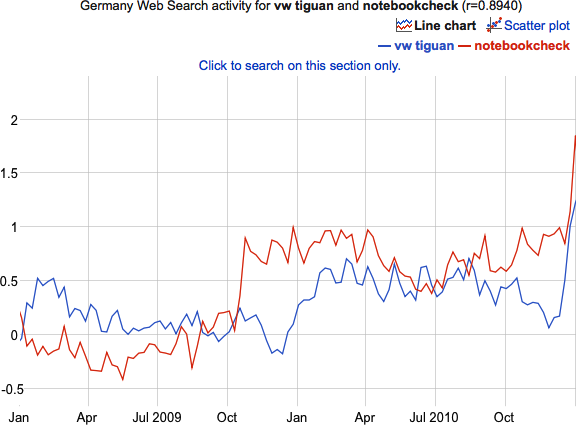 with a correlation of 0.0025, i.e., no correlation. Looking closer a the time series, it is quite obvious, that apart from the stationary component there is no correlation whatsoever. Enough of Google-bashing now, but the data isn’t iid and a Pearson coefficient of correlation not an adequate measure for the similarity of two time series. In the end, it boils down to a rather trivial verdict: trust your common sense and don’t forget what you have learned in your statistics courses! The Tour is over – long live the Tour! Posted on 07/29/2014, 19:05, by martin, under Sports, Tools, Tour de France. The Tour 2014 is over and has a winner – Vincenzo Nibali. As some readers asked how they could analyze the data interactively themselves, I post this video by Antony Unwin, who looked at the 2013 data, which was the 100th anniversary of the Tour. If you are inspired now, go download the data and the software and start exploring yourself! Posted on 07/20/2014, 11:02, by martin, under General, Sports, Tour de France. Well, to be honest, I see a far higher chance for him to win the tour, but first let’s look at the data. Having collected 10 years of Tour de France data, it is time to look at structural features of a whole tour. With a sample size of 10 (yes, still far away from big data …) we might want to look at the rank of the winner of a tour within the tour. 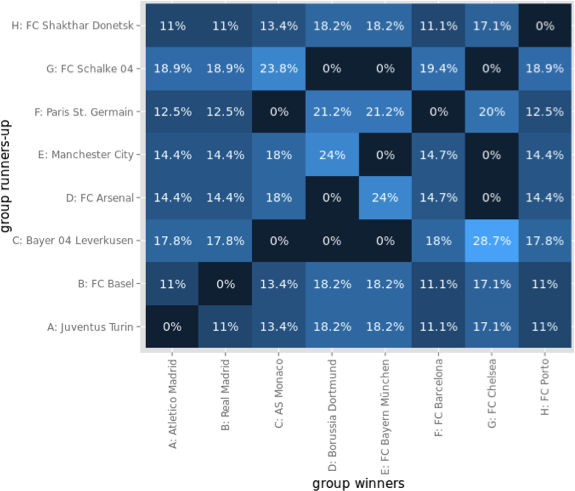 From this model we can read off the graph, that the chance to win the tour is 50% if you are the leader after stage 14. What really surprised me is the fact there is such a big gap between leader and top-3 and a far smaller between top-3 and top-5. But everyone who knows the basic set-up of a tour knows that the race is decided in the mountains, i.e., the Alps and the Pyrenees, which usually come up between stage 11 – 14 and 16 – 19, depending on the route the Alps first or not. As there is often an individual time trial as the last “counting” stage (you might know of the “non-agression pact” in the last stage), this time trial might switch the leader for a last time if the gaps are non-bigger than say 3′-4′. So this concludes my personal assessment that NIBALI has a far greater chance to win than 50%, as his lead is almost 5′ now, and if he can maintain his performance in the remaining stages in the Pyrenees (which is still some way to go), he will be this year’s winner. Posted on 10/19/2013, 11:56, by martin, under General. It is nothing new, to see the rise of some populist party right before an election, exploiting some anxiety in the population. With the AfD (Alternative for Germany) it is the easy to activate fear of economical decline, potentially caused by the economical solidarity within Europe. The set-up is simple, with an ever smiling economics professor at the top as some sort of build-in authority for the promoted anti-Euro politics. To cut a long story short, the AfD almost made it into the german parliament with 4,7%. Recent polls have them now by even 6%.Thus the question must be: “Who did actually vote for this party?”. 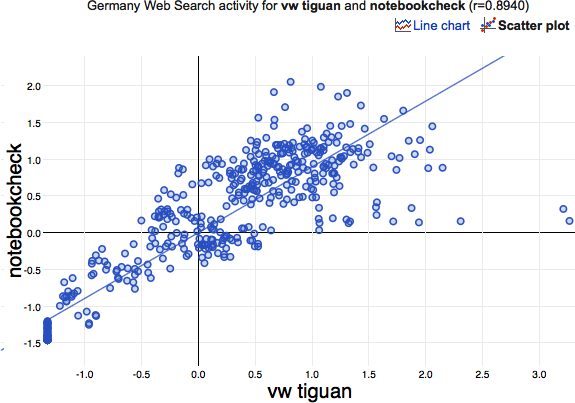 We may want to look at the socio economical data for the last election and hunt for high correlations with the AfD results. 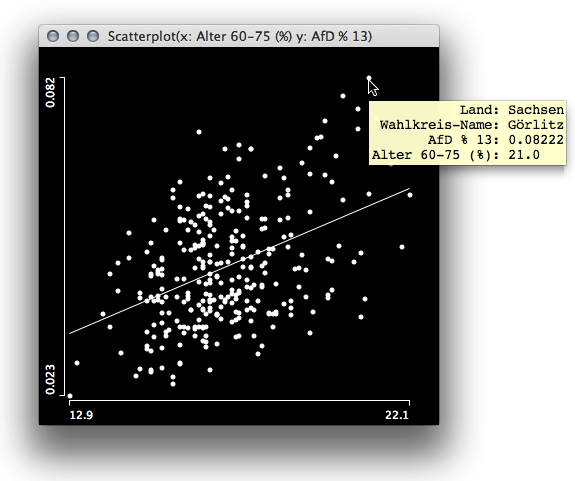 Surprisingly, the only variable that shows a decent positive correlation with the AfD result is the percentage of voters between age 60 to 75. 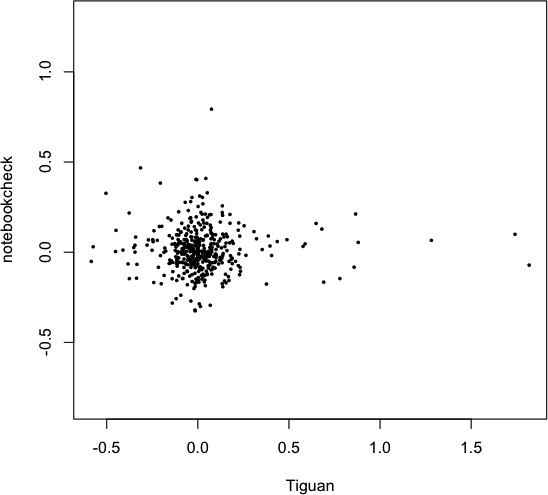 Interestingly there are far more variables which have a negative correlation and it shows that educations helps – as often the case … With the socio demographic variables not being a good indicator, it is worthwhile to look at the geographical distribution of the election result. This (fragment of a) shape is too well known in german history (cf. here). 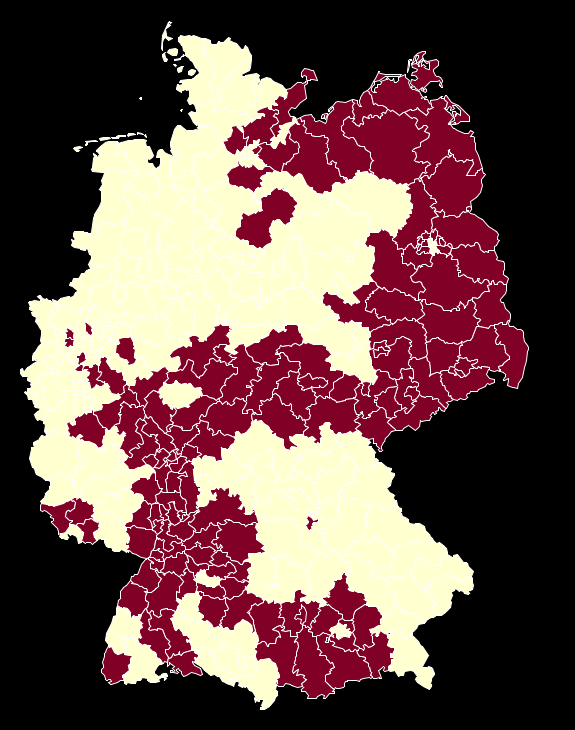 But apart from all conspiracies there is a good approximation for these areas by just selecting german states. This ensemble of plot shows that the strongholds of the AfD are more or less isolated in only 6 states, either motivated by drawing voters from only locally organized right wing groups (like in the east) or attracting voters how are too afraid of loosing their well established “German Gemütlichkeit” by helping out Greece or other troubled EURO-states (like in Baden Württemberg and Bavaria). 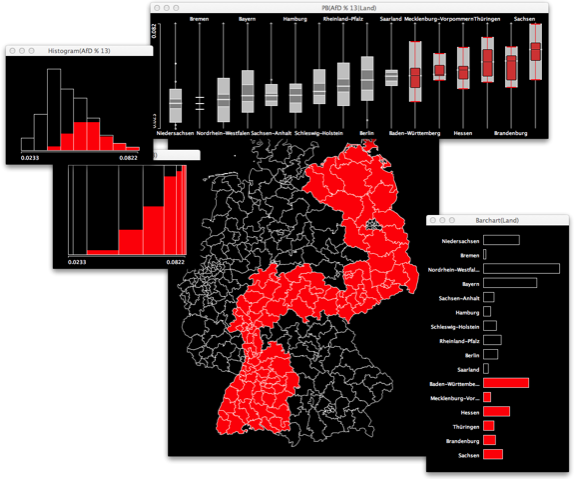 If you want to dig deeper, here is the data, map and the software to do so – have fun!